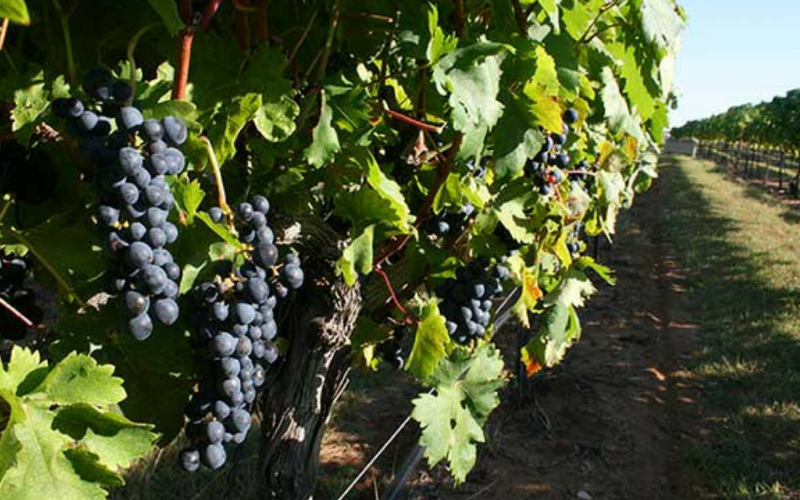 CENTRAL TEXAS, July 19, 2016 – With grape harvest expected to get underway by the end of July in some parts of the Texas Hill Country, the wineries of Texas Fine Wine are encouraged by the quality and yield of this year’s crop. In fact, some vineyards are expected to produce their best crop in many years. “The 2016 vintage is shaping up to be one of the best crop yields, and weather conditions are right where they need to be to have a stellar vintage,” says Dave Reilly, winemaker at Driftwood-based Duchman Family Winery. Pedernales Cellars, in Stonewall, expects its Kuhlken Estate Vineyards, located 11 miles north of Fredericksburg, to yield a record harvest of Tempranillo, with recent dry conditions providing pristine, completely rot free canopies and clusters, while Brennan Vineyards predicts its Nero d’Avola harvest from its Comanche County vineyards will be the best in four years. Dr. Bob Young, owner of Bending Branch Winery, agrees this year is showing a wide variation in grape crops across the state. At its estate vineyards, Spicewood Vineyards has already started harvesting Chardonnay and Semillion for its new sparkling wine program, and predicts its Hill Country white wine harvest will be done before August. “It looks like we may complete harvest in the Hill Country by early August and the High Plains may not get started until a couple weeks later, so we might have a very welcomed break between the two,” predicts Ron Yates, owner of Spicewood Vineyards. Yates noted that he is particularly pleased with the quality of his Graciano grapes. Pedernales Cellars has also begun harvesting its Hill Country vineyards, starting with Albarino. Texas Fine Wine is a group of five distinctive wineries dedicated to making quality wines from Texas appellation vineyards and setting the highest standards in the Texas wine industry. For more information, go to TexasFineWine.com, and follow Texas Fine Wine on Facebook, Twitter and Instagram.